As if mining Shopbop’s incredible, on-trend selection of clothes wasn’t already time-consuming, the site’s Friends & Family sale makes it even more difficult to decide what to buy. To help narrow down the stylish options, we’re bringing you 15 of our favourite standout pieces that are all 25 per cent off through tomorrow. Scroll through to shop statement heels, party-ready dresses, and much more. 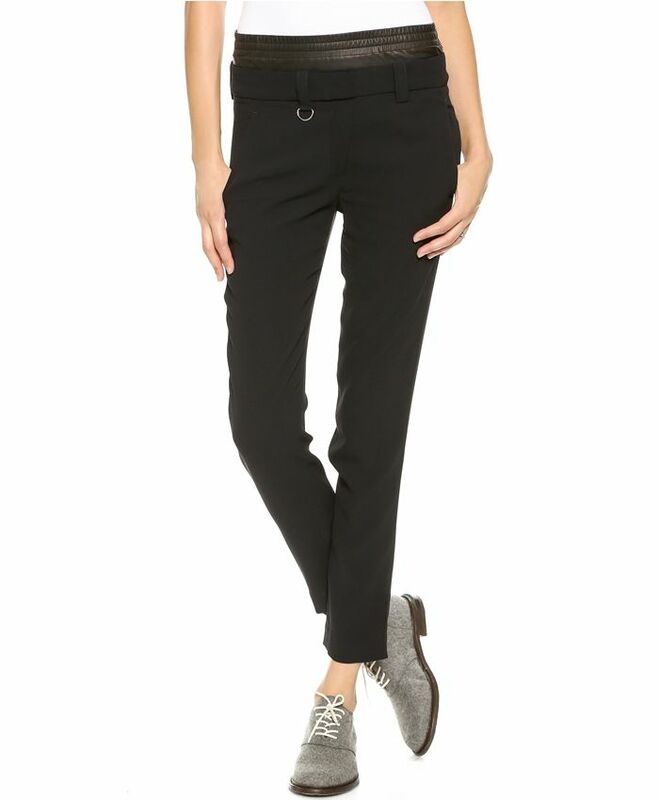 These tailored trousers come with a peek-a-boo leather waistband, which gives them a sporty feel. Pearls are having a major moment, and these asymmetrical earrings are a unique way to tap into the trend. Style this minimalist leather belt over a loose dress or boxy blazer for a polished vibe. Take a cue from Aimee Song and wear this off-the-shoulder dress with menswear-inspired flats, or dress it up with heels—either way it’s a showstopper. Add these two-tone snakeskin pumps to the list of Bionda Castana shoes we’re coveting. Layer this Helmut Lang sweater under a turtleneck in a different hue for a cool, layered look. Play with proportions by combining these wide-leg pants with a snug, tucked-in t-shirt. The cage-inspired overlay of this dress is subtly alluring. Glitter oxfords allow you to dress up your look, while staying comfortable and stylish. These pearl, dagger-inspired earrings are both edgy and feminine. Mules are still a major trend for fall, so opt for these cutout heels for their versatile colour and sleek shape. Add some colour to an all-black outfit with this vibrant clutch. Shredded layers of fringe add texture to this basic sweater silhouette. We love the layered effect of this preppy Rachel Zoe dress. Talk about a statement coat! Throw this furry lilac cover-up over both casual and dressy ensembles. What are you coveting this sale season? Tell us in the comments below!